It takes no courage to sign up as a Protestant. 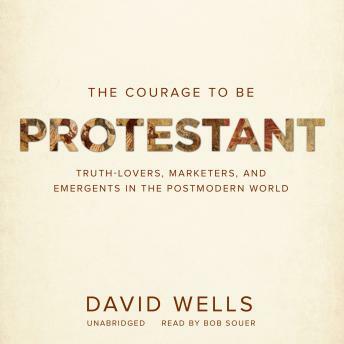 These words begin this bold work—the culmination of David Wells’ long-standing critique of the evangelical landscape. But to live as a true Protestant—that’s another matter. This book is a jeremiad against new versions of Evangelicalism—the Marketing and Emergent Churches—and a call to return to the historic faith, one defined by Reformation solas (grace, faith, and scripture alone), and to a reverence for doctrine. Wells argues that historic, classical Evangelicalism is marked by doctrinal seriousness, as opposed to the new movements of the Marketing Church and the Emergent Church. He energetically confronts the Marketing communities and their tendency to try to win parishioners as consumers rather than worshipers, advertising the most palatable environment rather than trusting the truth to be attractive. He takes particular issue with the most popular evangelical movement in recent years—the Emergent Church. Emergents, he says, are postmodern, postconservative, and postfoundational, embracing a less absolute understanding of the authority of scripture than traditionally held. The Courage to be Protestant is a dynamic argument for the courage to be faithful to what biblical Christianity has always stood for, thereby securing hope for the church’s future.